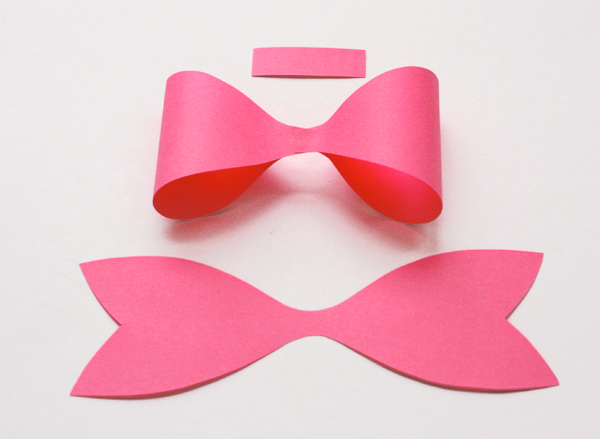 If you print the PDF on colored paper and cut out the pieces, you'll have enough parts to make two bows. 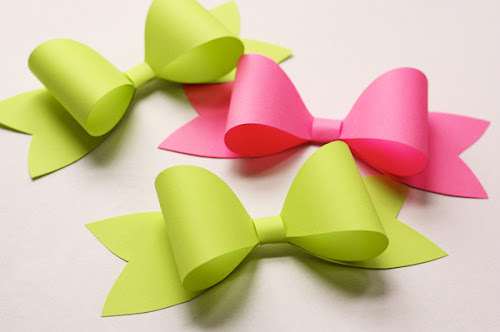 Or you can just freehand cut some pieces like I did originally; I folded my paper in half so that both sides of the bow would be symmetrical when I cut. 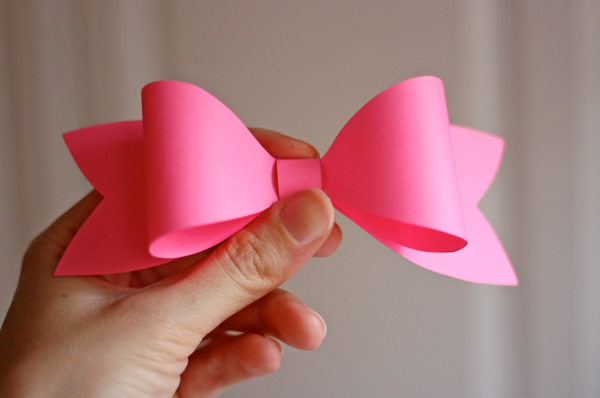 Sort of like you do when cutting out paper hearts. 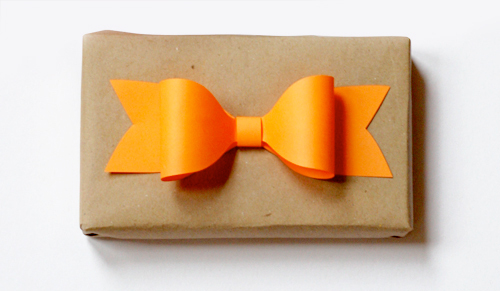 You'll need three parts for each bow: the band in the middle, the loops, and the tails. 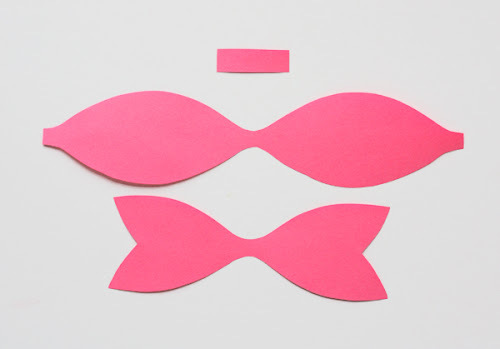 Grab the two outer tabs on the "loops" piece, bend them to the center, and glue them down. Layer the loops piece on top of the tails with a dot of glue, then wrap the band around the center and secure it in the back with a little more glue. All done!